Sony Music released a posthumous Michael Jackson album in 2010 featuring what they claimed then as unreleased songs from the popular singer’s archive. 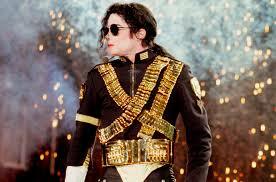 The said album, however, received a strong backlash after MJ fans protested and said certain songs on the album was definitely not sung by the King of Pop. Jackson’s family also spoke and also asserted that it is not their king singing some of the songs in the album. One Michael Jackson's fan, Ver Serova, even took the extra mile and filed a class-action lawsuit against the album’s producers in 2014 for fraud and deception. Court documents released recently now drop the big revelation that Sony has admitted, after all, that several songs including “Breaking News”, “Keep Your Head Up”, and the 50 Cent collaboration “Monster” were actually performed by a sound-alike of the singing icon. The voice impersonator is named Jason Malachi. At first, the impression from the court documents signifies that Sony is admitting the fraud but that it only believed the producers’ claims that the songs were really Michael’s. The recording label, however, asserted that is should not be held liable for such a fraud. A decision on whether Sony has any culpability or not is expected within 90 days. It's just all about the money with these evil people! Greed is definitely the root of all evil. yes to exploit the memory of someone dead and exploit the love of his adoring fans for profit, very bad indeed. sony should pay huge!